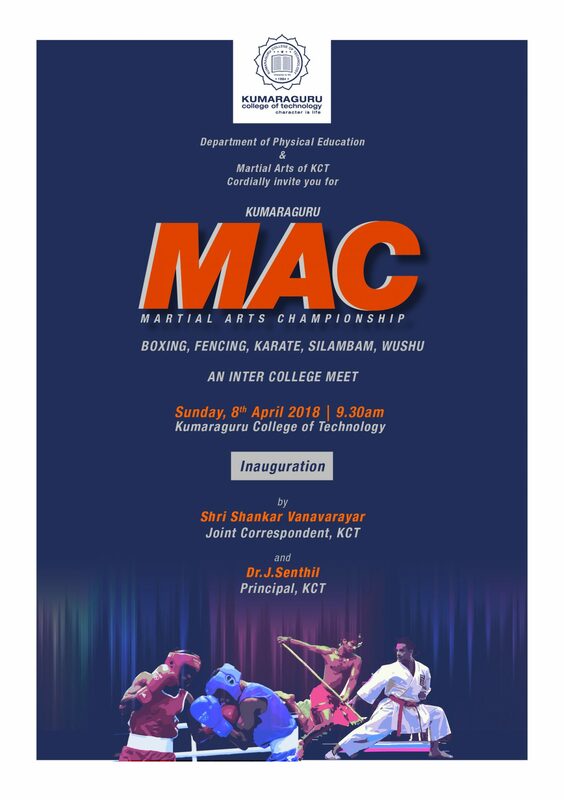 Kumaraguru MAC (Martial Arts Championship), an inter college pentad martial arts meet for the students of various Engineering, Arts and Science colleges in and around Coimbatore district was conducted on 8 April, 2018. Various martial arts like Karate, Wushu, Silambam, Boxing and Fencing were performed and the winners were awarded. Chair Yoga – For a better Life! Originated as sports day, and as inter department sports, ‘Kalam’ was kick started in 2014.